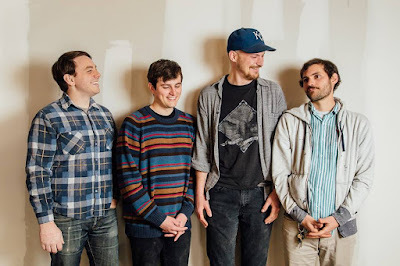 Fullbloods have been a part of Kansas City's indie rock scene since 2011. Their debut release "The Perpetual Machine" displayed their knack for creating light, catchy pop tunes that would fit in well on any alternative radio station's playlist, comparable to big bands of the time like Vampire Weekend and Two Door Cinema Club. In the five year gap since that record, Fullbloods' sound has obviously evolved a great deal and "Mild West" is what they have to show for it. The band has traded in some of their snappy, often stiff guitar parts for more reverbed-out, floating melodies; not unlike the newest Tame Impala and Unknown Mortal Orchestra records. The tenth track on the album "New Generation" exemplifies these shifts in style (note the added synths) and how the band has transformed its sound while not compromising the lyrical prowess and focus on solid grooves they showed listeners on the first album. Those who come in expecting "The Perpetual Machine" part two may be let down for the first few seconds of this record, but should immediately perk up soon after. High Dive Records never disappoints. Stream and purchase the album below. Fullbloods will be playing Middle Of The Map Festival this May in Kansas City.